Everyone knows that Fall clothes are the best… everything else is just second tier. But that unfortunately doesn't mean you can skip getting dressed in the Summer (#bummer). So my plan? Get clothes that work for now, but will also really excel come Fall/Winter. Already dreaming of pairing this dress with rich chocolate tights, a utility jacket, and tall boots - meow! Do you have Summer clothes that are really Fall/Winter items? I won't tell! That dress is amazingggggg in any season! Love the dress! I can definitely see it working for fall too. I love the dress, it's wonderful for the summer and the fall! Ahhhhhh! I LOVE that dress! That print on the dress is fab!! We're clearly on the same wavelength these days...first, it was the reality of just blogging what we think is "acceptable" and not necessarily everyday wear, and now...transition pieces! 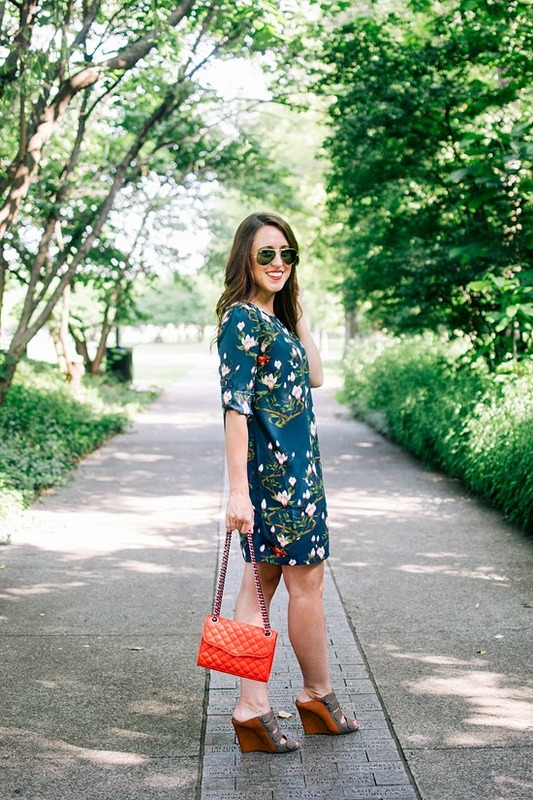 (My weekly faves from yesterday can be found here--> http://littledipperlife.com/2014/07/09/weekly-favorites%E2%94%82transition-pieces/) Killer dress, btw! The print is spectacular! Smart plan!! And I am totally going to have to agree that Fall clothes really are the best :) You look adorable! got to love an all year clothing item. I'm loving the print of your dress! Fall dressing simply is the best. I am in total agreement with that statement. gorgeous dress! love the pattern! Love dresses that you can throw tights on with once the temps get a cooler! Super cute, love love love this dress! LOVE this outfit!! 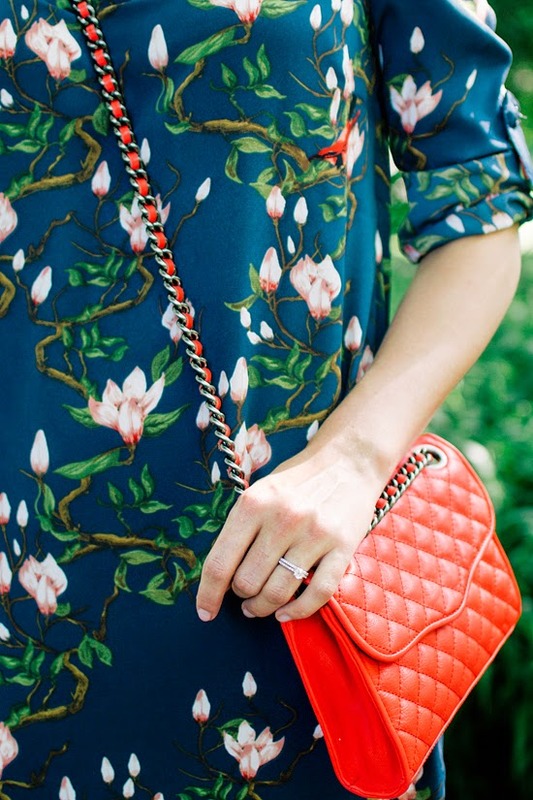 I love the floral prints mixed with that pop of color! You look beautiful in this dress and it's totally all yr round! Fall is my FAVORITE and with the #NSale that started yesterday, I have fall fever for sure! This dress will definitely look great in a few months. i love those shoes! i need some like it!! Absolutely stunning, Jessica, love your blog! Love this dress. My obsession with dresses with sleeves is continuing, and this is my next dream style. 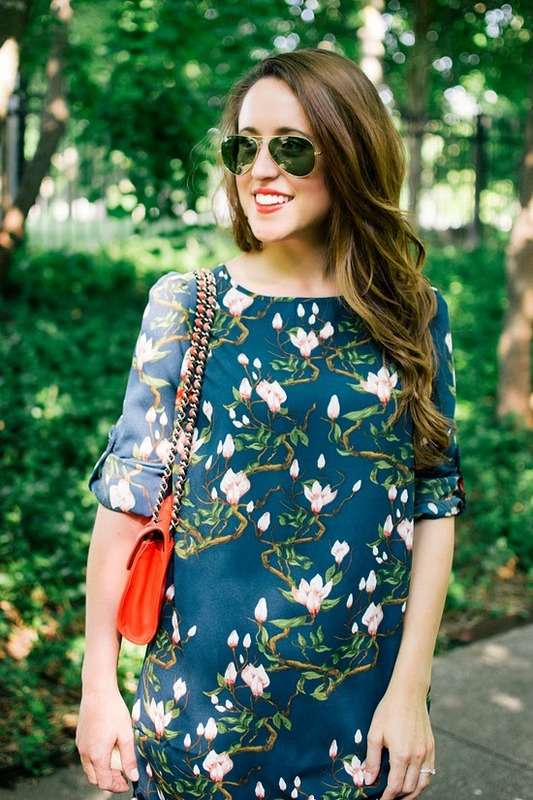 That floral is definitely screaming fall, but I love the way you styled it for the summer! I love the dress! Darling is one of my favorite brands, their pieces are always so gorgeous, and this dress is no exception! I just wanted to pop by and say that I'm so excited to be collaborating with you, Elle & the other girls this month! xo! This is a cute look. Love the colors! that will be the perfect fall dress! Although it looks great now as well! We are so on the same page about our shopping goals… and yes, not ready for Fall, but the clothes are oh so tempting! Yes to styles with sleeves!